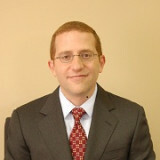 Daniel Mach is the Director of the ACLU Program on Freedom of Religion and Belief. He leads a wide range of religious-liberty litigation, advocacy, and public education efforts nationwide, and often writes, teaches, and speaks publicly on religious freedom issues. Prior to his work at the ACLU, Mr. Mach was a partner in the Washington, DC office of Jenner & Block, where he specialized in First Amendment law.